02/08/2019 - The Washington Capitals announced today that defenseman Christian Djoos has been recalled from his long-term injury conditioning assignment with the Hershey Bears. The announcement was made by Washington senior vice president and general manager Brian MacLellan. 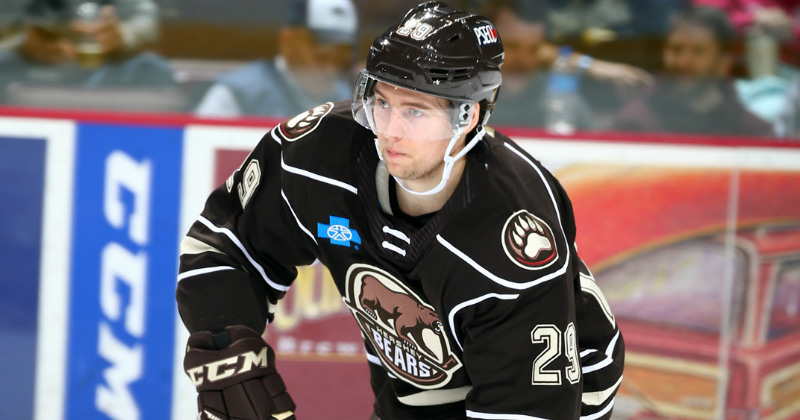 The native of Gothenburg, Sweden played two seasons with the Bears from 2015-17, including a 58-point campaign in 2016-17 in which Djoos finished third in the AHL in scoring among defenders. That year he won the club's Dan Sernoffsky Most Improved Player Award and the Milton Garland Memorial Award for Best Defenseman. In total, Djoos has scored 81 points (21 goals, 60 assists) in 131 AHL games with Hershey.